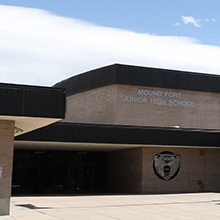 Mound Fort Junior High School is the home of the Bears and the best student and faculty population in Ogden! 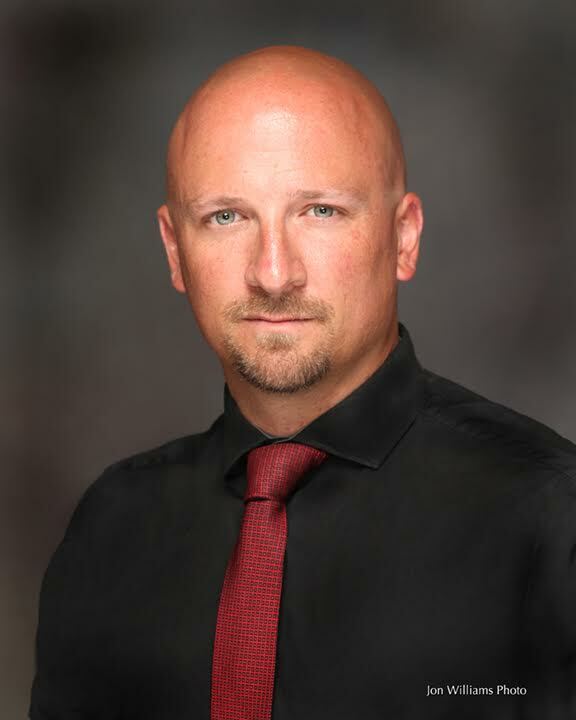 As a school we live by our mantra of Professionalism, Perseverance, and Progress. 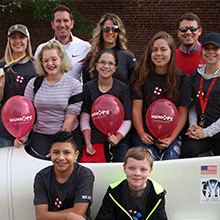 Through these core values we create a stronger and more successful community. Mound Fort is home to over 750 students that come from a variety of backgrounds. As one of the most diverse schools in Ogden district, we thrive on our differences as it is those differences that make us The Fort. We have perhaps some of the most diverse classes to offer our students including AP Computer Science, Video Production, AVID and more. 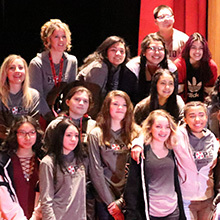 We are are always looking to expand our course offerings and work with community partners to develop culturally and academically rich learning experiences for our students. Finally, the faculty and staff of Mound Fort are the best faculty and staff a school could ask for. You will not find a more dedicated staff that works tirelessly to support all students and their learning. We believe that all students have the ability to success and will do whatever it takes to ensure that success. Mound Fort is a safe environment where all stakeholders take ownership and accountability for academic achievement, personal success and school pride. Through effective collaboration we provide an encouraging and safe learning environment to empower our students to achieve their goals and reach their potential. The history of Mound Fort is perhaps the most interesting of any school in Ogden. Its history and progress have closely paralleled the progress of the entire community. l854: The history goes back to the settlement of the district. In 1854, as a means of protection from hostile aggression, the settlers began construction of a fort. It enclosed the district from the present 12th Street to about 9th Street, and from the west side of what is now Washington Boulevard to the west face of what was known as "the Mound." The west slope of the mound was very steep. It was cut down to present a precipitous face about ten feet high, that even an Indian couldnʼt climb. To strengthen the west side still further, a breastwork, perhaps three feet high, was erected along the top of the mound. From behind that fortification, a rifleman could observe the surrounding country; and in case of an Indian attack he would be in an advantageous position. (1) Growing on the west of the mound today are a row of willow trees which sprang up from the original willow breastwork. Ernest Shaw remembers the remainders of the wall during the early part of the twentieth century. He used to walk along the top of the remainder of the wall along 12th Street to go to school up on Washington Blvd. The wall was right next to the road on the north side. There was bush growing out of it, because willows had been mixed with the mud when it was made. Terrill's Home and a small cabin below the mound near Ninth Street. These log homes were small one-room buildings. A huge fireplace served both for light and heat. The rude equipment of benches was made of slabs sawed from the outside of house logs. Auger holes were bored in them and sticks fitted in for legs. There were no backs to rest against. No desks were necessary as the pupils used slates for their writing. Books were scarce. The students brought whatever books were available at home. Most of the early seekers of knowledge learned to read by using their Bibles. The first teacher in Mound Fort was Ellen McGarry. Others who taught there were Miss Judkings, Francis Porter, Mrs. Chamberlain, and William Barker. (6) Parents, teachers and students must have looked forward to better schools and a larger school building during these early years. 1862: When the larger building did come, the site was changed to Twelfth and Washington, since by that time the need for the protection of a fort had passed and the Indians were no longer a threat. The year was 1862. The structure was a one room rock building built by Mr. Dayle. The carpenter work was done by Mr. Whittaker and the seats were made by David Moore. In later years desks and blackboards were obtained. The old rock school was also used for church services and for recreational activities. schoolhouse. A fierce mountain wind was blowing outside. After the meeting either the fire was left burning or the stovepipe collapsed, the roof shingles were kindled and a disastrous fire resulted. Every timber in the school building was destroyed, the plastering fell down, nothing was left but the bare rock walls. The school had originally cost $1,500. It must now be rebuilt. During the rebuilding of the framework of the rock structure, a four-room frame building provided additional room. 1891: In 1891, the rock building was torn down and a brick building was erected in its place. The frame addition, which had been built after the fire, was moved to Gibson Avenue and Seventeenth Street where it was used as a school until 1910, and thereafter was used as a private home. The four-room brick structure build in 1891 was heated by a stove in each room. A row of poplar trees was planted around the school grounds and a picket fence was built. (10) this brick structure remained in use, with other rooms being added around it, until the entire building was wrecked in 1976. The school was in need of a few articles made from wood and being unable to secure them, Miss Peirce, who became principal in 1909, gathered together a few tools and organized a class in shop work for the boys. To her belongs the credit for beginning the teaching of shop in Ogden City Schools. Late 1940ʼs and early 1950ʼs: All the children born during the war were flooding into the schools. The elementary section of Mound Fort had 4 or 5 sections of each grade. The elementary filled all the classrooms on the south side plus four homes that were purchased by the school board, plus the church on 13th Street. One year the elementary enrolment was 1,175 students with another 1,000 in the Junior High section. 1968-69: This was the last year elementary classes were held in the building. In June 1969 Mound Fort closed its doors forever to elementary students. 1975: Junior High students began their school year in the beautiful new facility at 1396 Liberty Avenue. Winter 1975-76: The old Mound Fort at 12th Street and Washington Blvd. was razed. All buildings were removed by wrecking, the materials were hauled away, and now there is a vacant lot. The tradition of Mound Fort will be carried on, however, in the beautiful new school. The school was a vast and fine alumni who revere the ʻred and whiteʼ. Many leaders of our community received much of their education at Mound Fort. Students now attending the school are also being trained to become good citizens and leaders in society. Press, l966), p. 85. Utah Historical Records Survey W.P.A., A History of Ogden (Ogden: Ogden City Commission, l940), p. 25. (2) "Mound Fort's Early History," The Standard Newspaper, (1919). (3)Milton R. Hunter, p. 85. (4)Daughters of the Utah Pioneers Marker #343, located on top of the mound. (5)“A Brief History of Our School,” Northern Light Yearbook, (1930). (6)Milton R. Hinter, p. 85. (7)“A Brief History of Our School,” Northern Light Yearbook, (1930). (8)History of Mound Fort written by the schoolʼs faculty in 1950. (9)”Flying Fire,” The Daily Ogden Junction, (Dec. 13, 1878). (10)“A Brief History of Our School,” Northern Light Yearbook, (1930). (13)”Mound Fortʼs Early History,” The Standard Newspaper, (1919). (14)“A Brief History of Our School,” Northern Light Yearbook, (1930). (16)Ogden City Schools Buildings and Grounds Information, Feb. 1, 1963. Mound Fort is a safe environment where all stakeholders take ownership and accountability for academic achievement, personal success, and school pride. Mound Fort Junior High is a school where all students can be successful and productive. Stakeholders will hold the school to a higher standard and believe it is the best school in the district.